Completing part 3/3 of my photos with celebrities month. 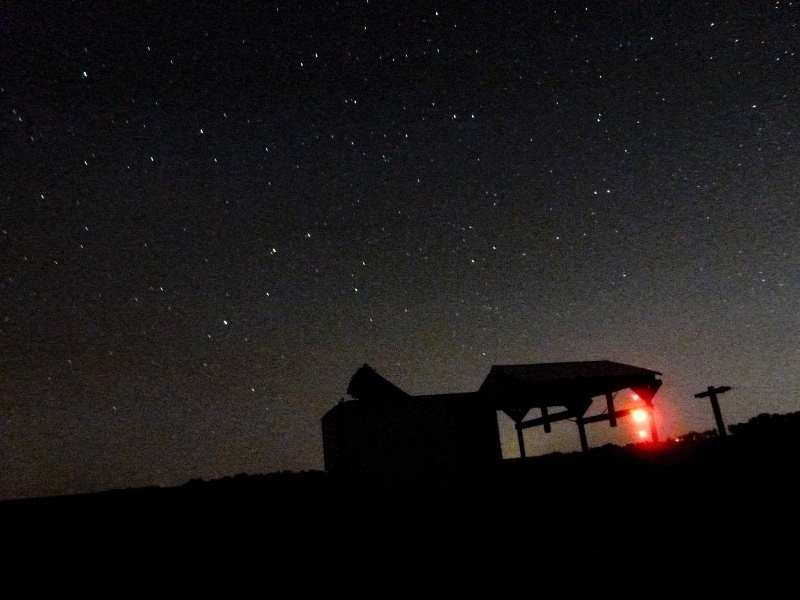 Gary hug is an amateur astronomer in Kansas who tracks and sometimes finds asteroids, especially ones that are on a course bringing them near Earth. He has so far discovered 40 asteroids (according to wikipedia) and has tracked countless others. He uses a database from the Minor Planet Center and looks up the most threatening objects to get a better read and its motion. Once a good measure of location is taken on 3-4 nights, you can pretty much predict where it will be for hundreds of years. This is what the asteroid looks like through the telescope. The software digitally moves the image along the path that the asteroid is expected to be moving in. This results in streaked stars (over the ~7 min exposure), but the actual asteroid shows up as a nice Gaussian peak. This is the "Sand Lot" a telescope (and building) that Gary built himself ... he actually built the entire thing himself, up from the ground (except for the mirror and the camera). Here is an NPR article about him. I really hope he discovers an asteroid that will be a very close near miss to earth, encouraging humanity to make a real investment in actively protecting our planet from NEO. OK Jonathan, Sept 22nd I discovered 2012 SY49. It's an Apollo rock and is small but it can get very close to the earth. (to within 18,000 miles of the earth's center..) No chance of impact until about 2031 and then 100,000 to 1 against. If it did hit it would have about 8 megaton of force - probably similar to the Tunguska event.